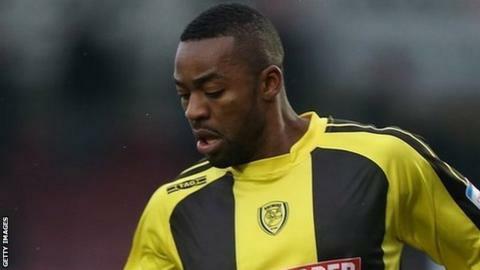 Jacques Maghoma's penalty handed Burton a sixth home victory in a row after a closely contested game with Barnet. Billy Kee had already missed a good chance for the hosts before Maghoma converted from the spot after he had been fouled by Barry Fuller. Ibra Sekajja missed from seven yards for Barnet after good work by Ricky Holmes, before Kee curled wide. Calvin Zola also shot wide and was denied by Stack, but Maghoma's strike proved enough to claim the points. "At this stage of the season it's not really about performance - it's about winning the game. "We had a bit of a question to the fourth official and said look, "he's given the penalty and is about to pull the trigger so it has to be at least a yellow". "I think it's important we defend manfully. We've got to do that to win any game and I'd like to see us also get out and put a bit more pressure on the ball at times."